What happens to ‘messages’ as they pass from neurons to muscles? At every level of the motor network there are fascinating open questions. Since motor neurons represent the direct connection between the nervous system and muscles, it is important to understand how they receive, integrate, and generate signals. 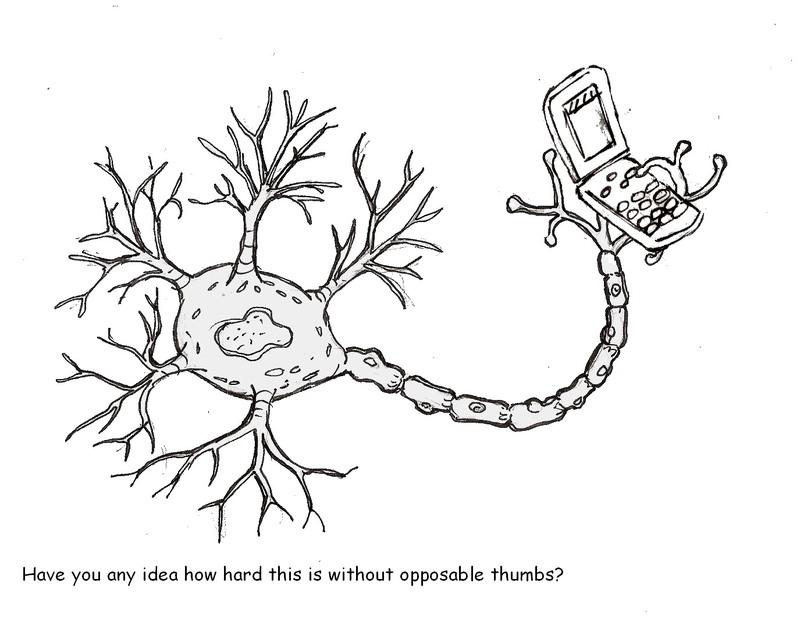 Neurons are sometimes analogized to telephones, which brings to mind the game many of us played as children. A message starts in one place and after it travels through several relay stations, it arrives at its final destination a mutated version of its former self. Similarly, one can ask what happens to a message as it passes through the motor neurons and on to the muscles? Do motor neurons pass on a relatively similar message to the one they receive, or do they change it? If the latter, to what extent can they alter the message and how? In the scientific literature, the question is usually posed in more jargony terms: “How do the intrinsic properties of motor neurons contribute to motor output?” But what do we mean by “intrinsic properties”? Loosely speaking, these are just characteristics inherent to the neuron, rather than features that might be induced by interactions with other neurons. These include the size and shape of the cell, which will determine some of its electrical properties. Most often, though, “intrinsic properties” refer to the ion channels a neuron expresses and how the currents carried by these channels affect a neuron’s electrical activity. Neurons express a variety of channels – some preferentially let sodium pass, others are selective for potassium, some open only when the membrane potential of the cell hits a certain range. Ion currents allow neurons to respond to input in different ways – firing single action potentials, firing many, firing fast or slow with varying patterns. What we really want to know is, how do the ion currents in motor neurons contribute to the electrical activity that ultimately produces muscle contractions? In my work, I’ve focused on the potassium channels that motor neurons express. These channels are incredibly diverse. There are potassium channels that open fast and close fast, others that open slow and stay open for long periods, a host of channels that respond to different voltages, ones that open only with the right voltage and the right calcium concentration (some of my personal favorites! ), and all kinds of other flavors. Potassium channels are important for regulating cellular excitability. In most neurons, the concentration of potassium is higher inside the cell than outside, causing these positive ions to leave the cell when channels open and bringing the membrane potential down. Though many potassium channels have been characterized, there’s still a lot we don’t know about how channels encoded by specific genes contribute to distinct patterns of electrical activity. And we know even less about how changes in potassium channel gene expression in motor neurons may affect the production and timing of motor behaviors. So, there you have it: the motivation for my project. In the next post, I’ll discuss which potassium channel genes I targeted in my experiments and the effects on motor neuron excitability. But for now, please check out the TWDK post and feel free to leave your comments! P.S. I really enjoyed writing for TWDK and I love their commitment to open science. If you’re a scientist, please consider supporting them by writing a guest post. Visit their web page linked above, or find them on Twitter @TWeDK.